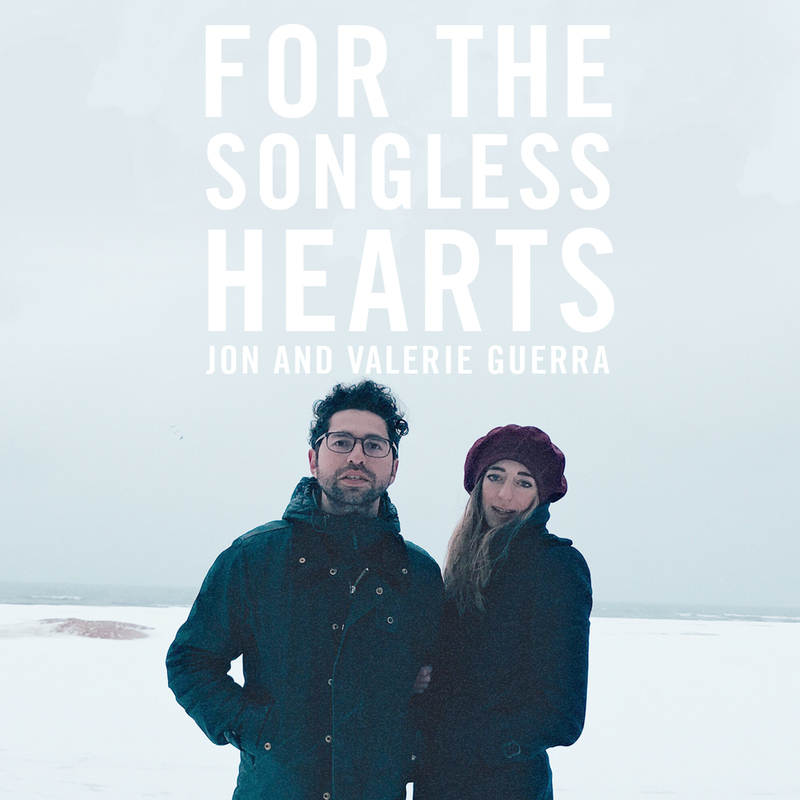 The following was written by our friend Jon Guerra for the occasion of his and his wife’s latest release, “For the Songless Hearts.” Music video premiering on our site today! Check it out here. When he was laid in the tomb, he laid right next to you. Growing up as a pastor’s kid, I knew there were two times we were never allowed to go on vacation: Christmas and Easter – two weekends when churches pull out all the stops. I suppose it’s not completely out of left field. After all, paramount to Christian theology are the day God was born and the weekend He died and was resurrected. I mean, geez Louise, if we’re going to make the church choir pull double duty, then we’d better have a damn good reason. Christmas has nostalgia, cookies, and presents going for it, but Easter weekend can be a doozy. It’s the weekend every church puts her best foot forward, dress code and peep-toe heels to boot. Maybe there’s a play, a kids’ program, an esteemed soloist. Or maybe it’s none of that, but just the subtle, crushing expectation: be happy. After all, it’s Easter! It’s not unreasonable. Who doesn’t want to be happy? Or at least try to fake it? The problem isn’t happiness, the problem is us. We have lives, and those lives, at least while we’re being honest, are not always happy. We are, unequivocally, a mess. While the idea that we can dictate our moods, our emotions, and maybe even our hearts is flattering, one honest look at the last twenty-four hours proves otherwise. That fleeting thought, that blatant injustice, that flash of rage, that pit of hurt and sorrow in our stomachs no one can feel but us. Sometimes, when Easter rolls around, we simply have no joy to muster, no smile to fake, and no hope to hold. Our happiness is as hollow as the Easter candy we consume. Sure, Easter is for singing, but what if we are songless? In the Gospels, however, we meet a man who looks a lot like us. He breathes the same air and is privy to our habits (or habitats) of avoidance. He meets us where we are: water wells, fishing boats, panhandling on the side of the road. Most of all, he meets us. Not the artificial, smiling, put-together, Easter-bonneted, rehearsed versions of ourselves. But the real, songless versions. Just as we are beginning to fall in love with this man, though, he dies. Shamefully and publicly, his life whimpers to a failure. And that’s precisely the point, the whole point of Easter, in fact. Jesus meets us where we live, and he meets us where die. And even after we’ve met him, he meets us again and again. So if you’re tempted to muster something false this Easter, remember that before the tomb was empty, it was full. “When he was laid in the tomb, he laid right next to you.” It’s O.K. if you’re not happy. It’s O.K. if you have nothing pretty to wear. It’s O.K. if you don’t have a song. The whole weekend is about a man who spent the first Easter bloody, beaten, songless, and sad. He did it for love. He did it for you. Though you may be songless now, on the third day he proved that you won’t be songless forever. While you may not be able to take vacation this one weekend, hopefully you can rest in that reminder. After all, it’s Easter. I love the line about the ‘pit of….sorrow in our stomachs no one feels but us’. That’s where I’m at, now. Thank you, from a ‘Songless one’. Where can I find the lyrics?